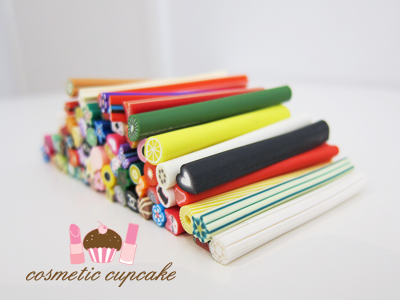 I've been meaning to post about fimo clay canes for a VERY long time but of course I never got around to it! xp I've shown you a few manicures using them but I've never explained exactly what they are and how to use them. A few ladies asked what they were when I showed you my giveaway winnings last week so I thought I would show you how to use them today. 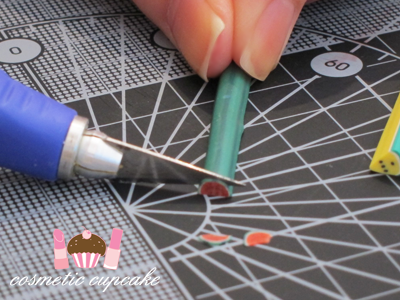 I LOVE fimo canes as it's such a quick and simple way of doing nail art that looks so awesome! What is fimo? Fimo is a type of polymer clay made by a German company that is used by artists to create all sorts of jewellery, accessories, sculptures and other clay projects etc. It comes in all sorts of colours and finishes and once it's baked it hardens and can be sliced, cut and painted depending on how you use it. The clay can be worked into different forms and here we have it in canes which is great to use for nail art. The design possibilities are endless - you can get butterflies, fruits, stars, flowers.. all sorts of things! My favourite would have to be the fruits though as they are so much fun. They are very small measuring only about 5cm each and you can see they're smaller than the palm of my hand. So how do you use them? They are super easy! All that's involved is slicing them into thin slices and then placing them on your nails with some polish or nail glue. * Blade - I purchased a blade with a handle from the art section at Kmart but any old one will do! * Cutting board - so you don't cut your table! I also purchased this for a few dollars from Kmart. Ensure you have a cutting board or paper underneath to protect your table. Grasp the fimo cane firmly in one hand and use the blade to slice the cane as thinly as possibly. You can get quite a few slices if you slice then thinly and I also find they sit nicer on the nail when they're thin. It can be difficult to get the perfect slice so don't be disheartened if the slices aren't uniform thickness. Practise makes perfect trust me! 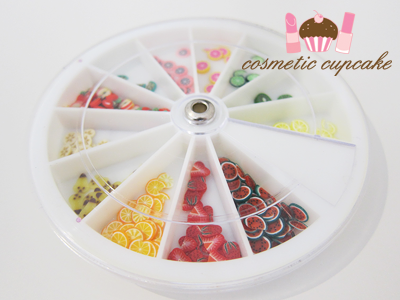 After you've sliced up your desired amount, store them in a nail art wheel or other small container for easy use later. I hope this helps! My next post will be a nail art tutorial using fruit fimo so make sure to check back! I really love reading your blog, and I just wanted to let you know that the images in this post are saying they have been moved or deleted.... very sad as they sound really cute! thanks for the great how to! love it! Ooh, and the pictures are so pretty! Can't wait for the tutorial! great tutorial. i really like your cutting board! 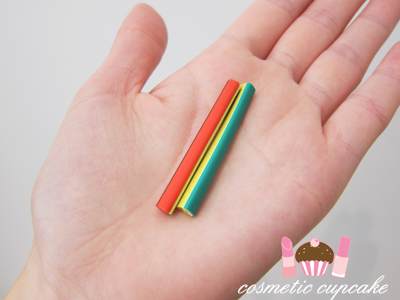 We have just discovered your gorgeous post on FIMO canes - I bet many people don't know you use them for nail art! I love fimo canes! I got a whole bunch of them, and spent a couple hours slicing them up as thin as I could... I use tiny plastic baggies to keep them in. I should break them buggers out again and play some more with them. Hee! @Anita: I'm glad you like it Anita! @Sara-May: Ahhh thanks hun =D Hope you like the tutorial! @Enamel Girl: Thank you! Hehe I love my cutting board too =p it's great for cutting my fimo and it only cost me $3! @How To Be Perfect: Oh wow that's awesome! I could never make them myself, I'm not creative like that so it's great you can make them =D I LOVE using them for nail art! 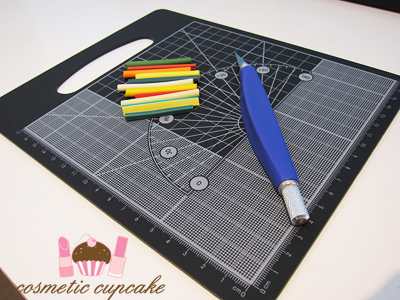 @Yvonne from STAEDTLER: Thank you so much for stopping by my blog and commenting Yvonne! I don't really use facebook much but I would love to show my manicures on your page! @Michy: It's kind of therapeutic slicing them up actually lol. And when you get on a roll they look great hehe. Definitely get them out and do some manis! @Danielle: I couldn't more =) I hope you like the tutorial Danielle! What other crafts can you do with Fimo canes? I want some of them :( but i have never seen them in my country. here in guatemala amazing stuff never gets -.- do you know some web site where i could get them? 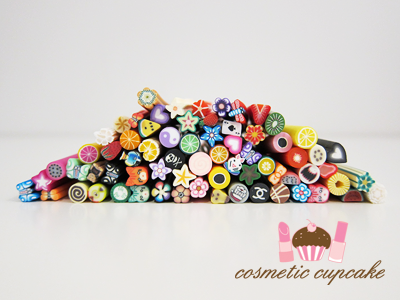 I bought some fimo nail canes on ebay. I have been slicing them as nail decals. Someone told me you have to bake them after you slice. Is this true?